Sales volume and rent growth continue to trend upward in spite of a slowdown, so suggests new research by ARA Newmark in their 2Q17 Multihousing Market Overview. 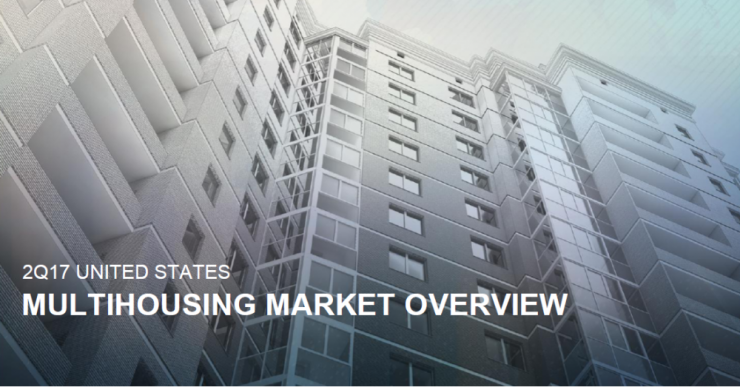 The study, which focused exclusively on the multifamily real estate performance of United States metros, found that multihousing sales volume increased to nearly $33.7 billion during the second quarter of 2017, a marked increase of 25.2%. 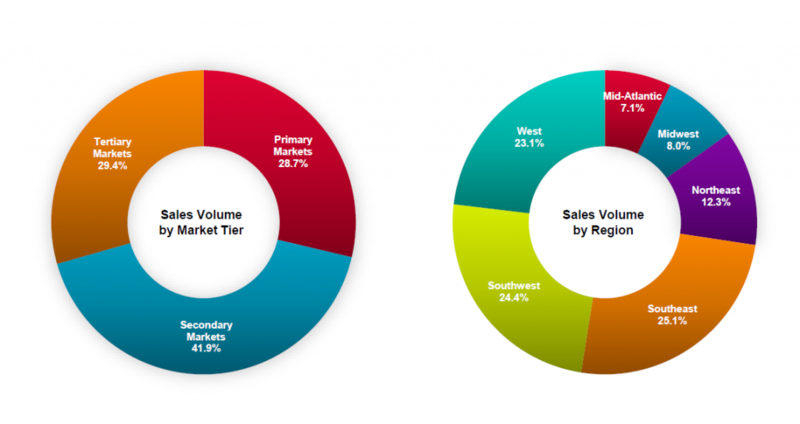 In addition, sales volume strongly increased in secondary markets in the South and Southwest regions of the country. Overall, rental growth showed modest growth at 2.3%. At the national level, factors such as occupancy, supply, and demand all continued to show positive effects for owners in the multifamily sector. 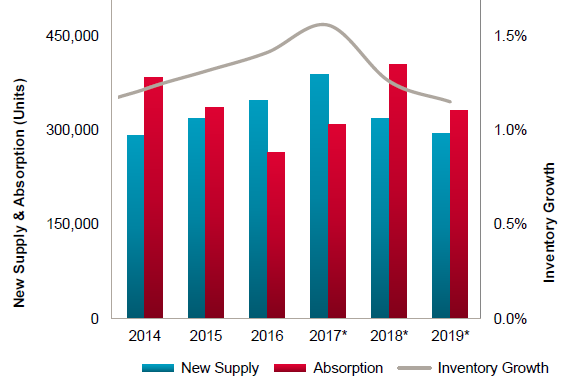 The report notes that “although supply has outpaced demand for the past two years, strong absorption is anticipated with less new product coming to market in 2018 and 2019”. Current supply numbers for 2017 leveled off at nearly 1.3%. For 2018 and 2019 however, the study suggested a steady decline in inventory rates, reaching lower than 1%. Higher absorption, particularly in San Diego where housing continues to be limited, could strengthen the buying market, making it easier to sell an asset that is properly promoted. Another good sign for investors, nationwide occupancy continued to trend higher at 95%. This number marks a 40 basis point increase from first quarter 2017. The long term national average leveled out at 94.1%. This high occupancy rate (even higher in regions like San Diego) means that owners are likely to see their investment units at or near capacity and tenants staying longer, further strengthening returns on investment. Additionally, the national price per unit also trended higher with an increase of 6%, bringing the average to an all time high of $140,217. San Diego was singled out a number of times in the report for its steady growth year-over-year in both rent and sales. Overall, the report found that the San Diego metro area ranked in the top 20 markets by sales volume, maintaining a solid $2.4 million regional volume growth. 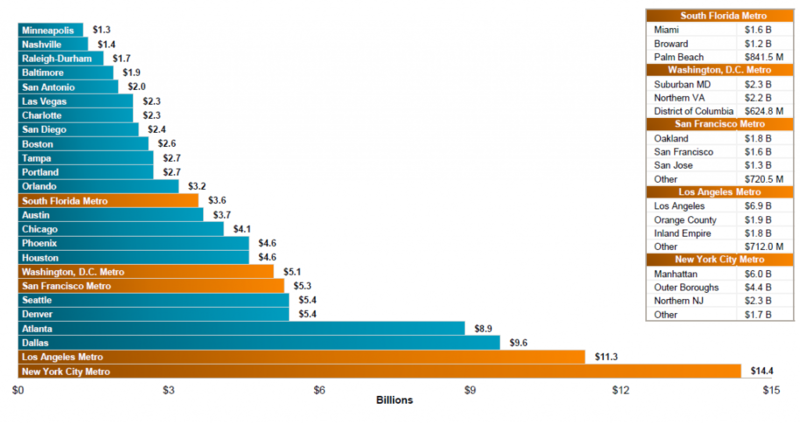 This growth outpaced metros including Las Vegas, Nevada, San Antonio, Texas and Charlotte, North Carolina. The region also continued to maintain a solid cap rate growth of 4.8%. The study also praised San Diego for being one of a number of metros who focused on technology focused employment. The report noted “the majority of technology-centric employment hubs have significantly outpaced the national average for rental growth of 17.5% over the past five years.” Among technology-focused metros, San Diego maintained a 25.4% standing as a technology-central hub, with steady growth occurring consistently for the last four years. This strong rental growth as a technology-focused metro also helped San Diego establish a strong year-over-year rent per square foot trend. 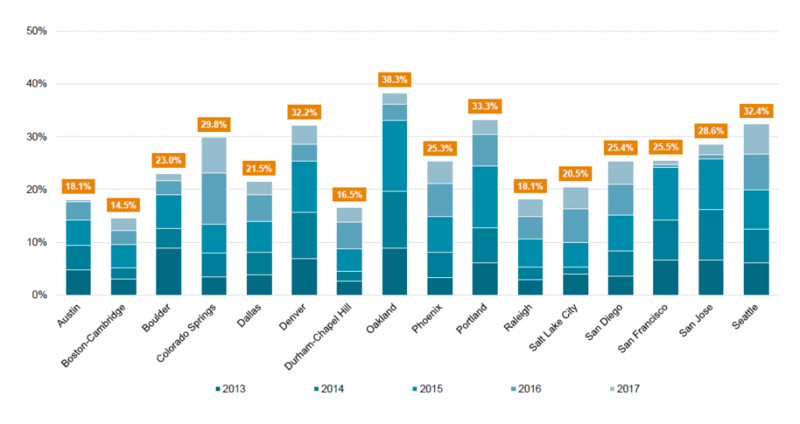 While many metros like Miami, Nashville, and Portland saw rental pricings increase by only around 2% or less, San Diego saw a year-over-year increase of over 4.8% from 2016-2017. Despite a marked slowdown overall, the study shows multifamily CRE is still a great investment opportunity.